Home / Archive by category "Party and corporate event entertainment ideas"
Istanbul has long been considered as being the gateway between East and West, a two-way portal for the exchange of goods, peoples and cultures. Once at the crossroads of Roman influence and home to many diverse ethnic traditions, when that great empire shrank, certain cultures grew to dominance, others were displaced, migrated or dispersed. Among these dispersed peoples, we find European Jews and other tribes which can be loosely grouped as Roma or Gypsy, often leading itinerant lives, fiercely independent and fiercely protective of their historic origins and culture. Whereas Western European music, strictly governed by the Church of Rome (and of course Constantinople up until the incursion of Islam), developed along well-defined and well-documented lines, the diverse musical culture of the Eastern fringes retained many links with older traditions, so that to modern-day Western ears this music sounds at the same time exotic as well as strangely familiar. Just as the classical Latin of Biblical times has evolved into the similar yet distinct modern ‘Romance’ languages found in Western Europe, so it is with the development of musical culture. 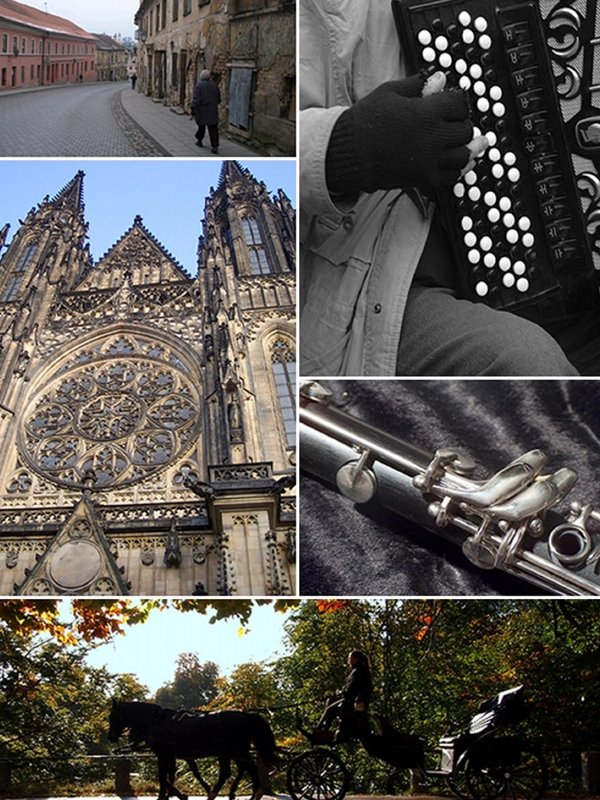 Eastern European music sounds different because it developed in different regions and within different cultures, yet taken as a whole it shares certain fundamental features which make it recognisable and accessible to Western listeners. 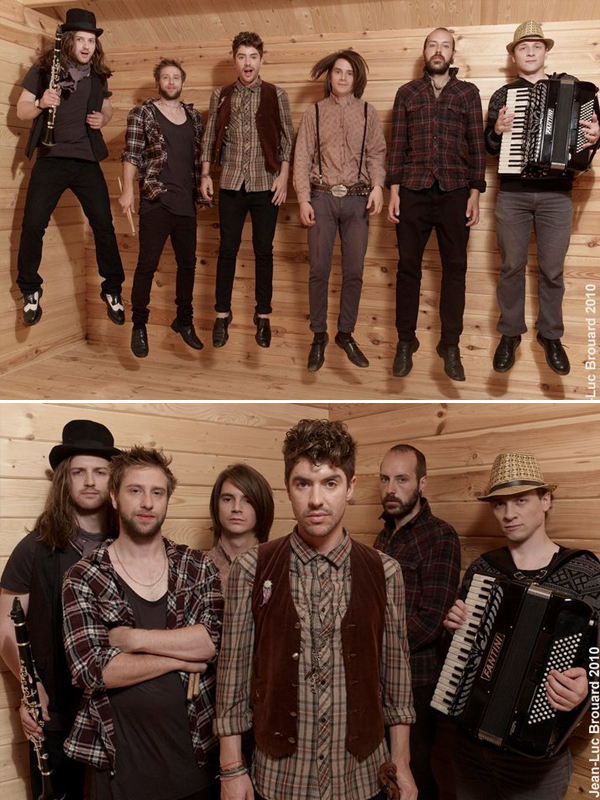 The instruments nowadays played in a typical Gypsy or Jewish Klezmer ensemble are instantly recognisable – it is the idiom of the musical genre and style that is distinctive. Accordion, clarinet, violin, guitar, double-bass and piano frequently appear, much as they do in the popular and folk traditions of the West. Perhaps the only ‘alien’ sound unique to the culture is that of the cembalon, a hammer-dulcimer forerunner of the piano. As with the music of other displaced peoples the world over (Afro-American Blues, Portuguese ‘Fado’ etc), Gypsy music reflects a deep-rooted melancholy which characterises much of the repertoire – songs of yearning for home, searching for something lost, a quest for identity. However, this definitive mood is regularly interrupted by bursts of fantastically joyous, fast and frenetic celebration music, as exciting and uplifting (and danceable) as any to be found around the globe. 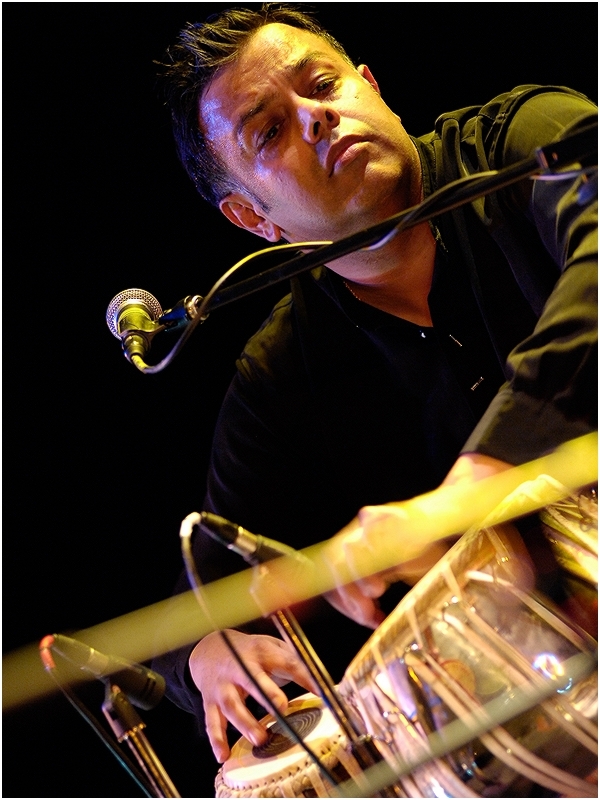 As in certain other traditions where music is learnt aurally, passed on from player to player without reference to a standard written version, individuality in performance is a defining element in Roma and Gypsy music, with a strong emphasis on variation and improvisation, making each rendition to a significant extent unique, as in Western jazz. Gypsy and Klezmer bands will readily switch from playing attractive, atmospheric background music as accompaniment to a formal meal or drinks reception, to an engaging, interactive performance of more up-tempo music for dancing later on. At many events, a compact ensemble will perform background music for the earlier part of proceedings, sometimes playing their instruments acoustically, and then augment with further musicians (often including drums) and amplify their sound to achieve a full-on dance-band impact. Naturally, this highly-adaptable arrangement is ideal for a whole range of different social events. The development of Eastern European music in some ways parallels that of the West, in other aspects has diverged over the intervening centuries. Whereas Western art music fairly rapidly became a literate culture, evolving, progressing and changing in a highly visible way, music in the East continued as a predominantly aural tradition and so developed along different, more organic lines. Shared instrumentation and regular dance-forms bring the cultures closer, but the instantly recognisable idiomatic and stylistic differences give Eastern European music its attractive, exotic quality and appeal. Evocative and nostalgic to listen to, irresistible and effervescent to dance to, a Gypsy band will present a flexible, adaptable performance well-suited to entertain guests at almost any social event, from weddings and private parties to corporate functions and public festivities. 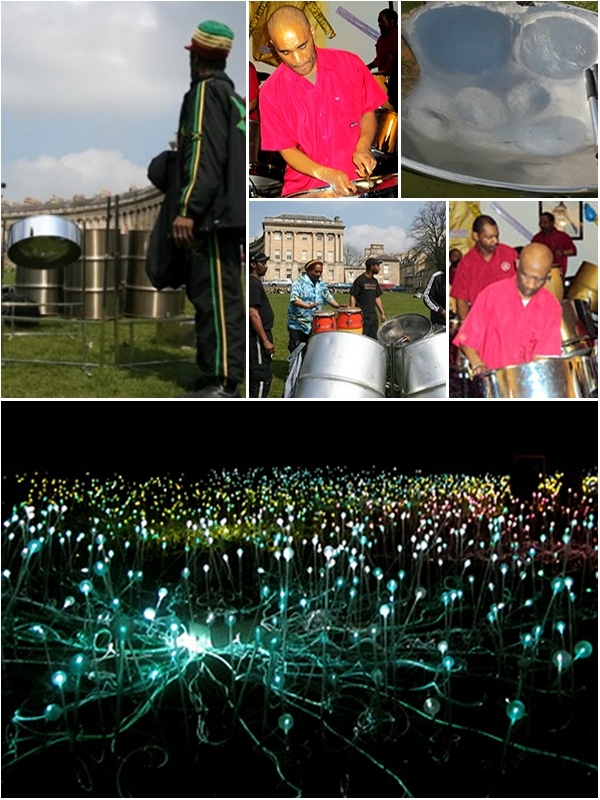 If you’re looking for an exotic carnival atmosphere at your party or special event, there is nothing quite like Samba drumming to get the party going. 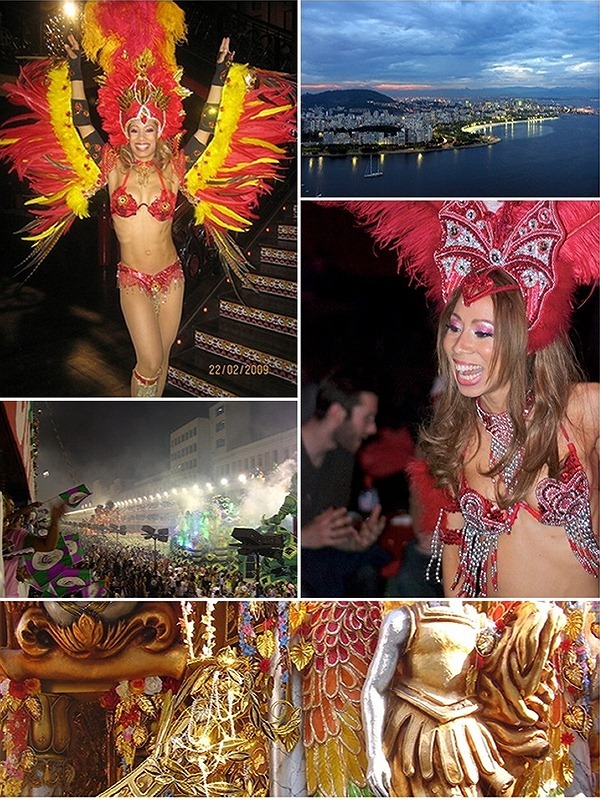 An exotic melting-pot of cultures in the ever-expanding cities of South America gives us the Samba sound. In its energising riffs and rhythms, Hispanic Europe meets Africa with indigenous South American Indian influences thrown in for good measure. The ancient musical culture of Spain and Portugal, dominated by Moorish influences and effectively cut off from Northern Europe by The Pyrenees, developed to an extent in isolation, and it was this music that the conquistadores brought with them as they ‘discovered’ South America. Later, slaves transported from Hispanic colonies in Africa introduced remnants of their respective cultures to the New World, and over countless generations the resulting musical cross-fertilisation gave rise to the emergence of a new popular musical identity which in Brazil eventually developed into Samba. There are many different sub-genres of Samba continually evolving all over Latin America, and indeed across the world, as the popular impact of this unique music has in recent years been little short of meteoric. 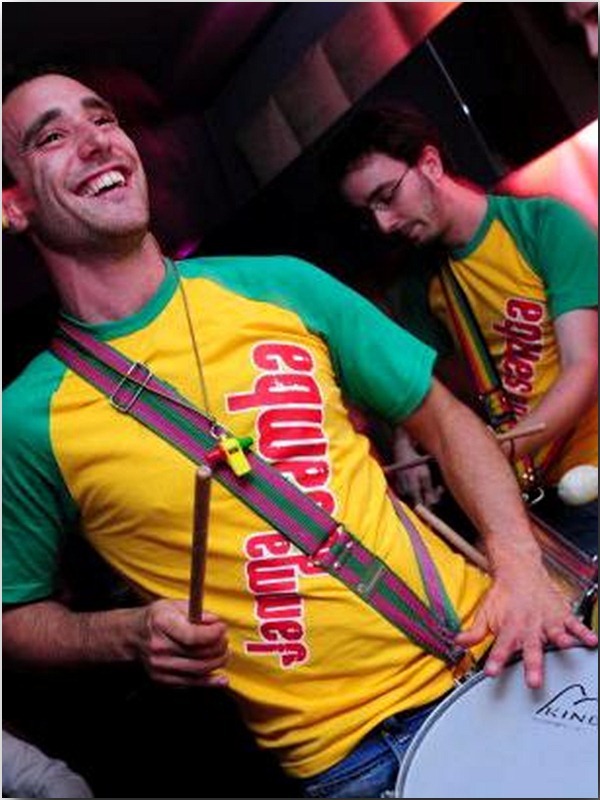 Samba music can be performed on a wide variety of instruments, with the preponderance of percussion a key factor in its unique sound. In a typical samba troupe, melody and harmony is generally provided by a mixture of string, wind and brass against a prominent rhythm section comprised of anything from cowbells and bongos to tambourines and whistles. It’s an ordered cacophony of busy street-sounds to set the pulses racing and the hips gyrating. 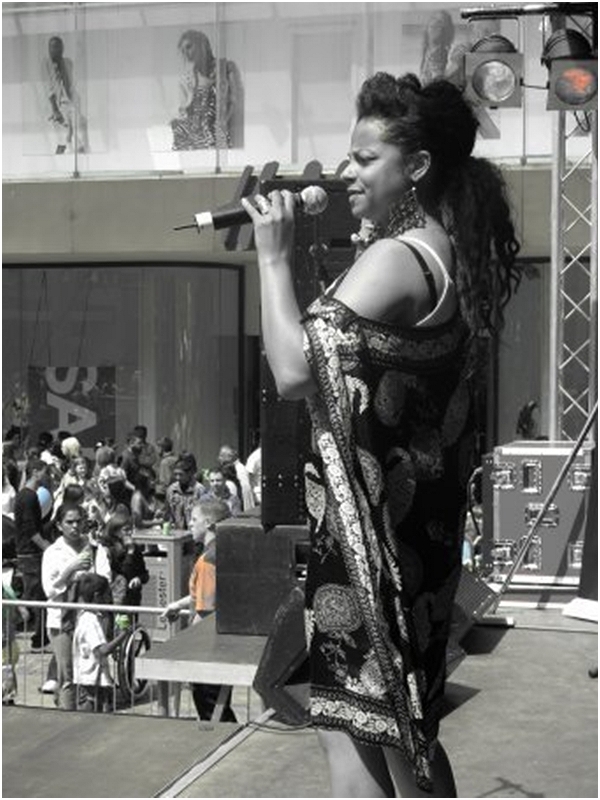 As elsewhere, here in the UK full samba troupes are fairly large (ten or more performers) when compared with bands from other musical genres, although scaled-down groupings can be equally effective in smaller venues. The emphasis is strongly on interaction with their audience, and many outfits can showcase colourfully-costumed dancers to add a spectacular visual element to their performance. This all makes for a captivating entertainment focal point, a brilliant wow-factor centrepiece for a wedding reception, a birthday party or any other festive occasion. Such has been its success over recent years, both domestically and globally, that Brazilian Samba can claim to represent the very essence and soul of South American popular culture as a whole. 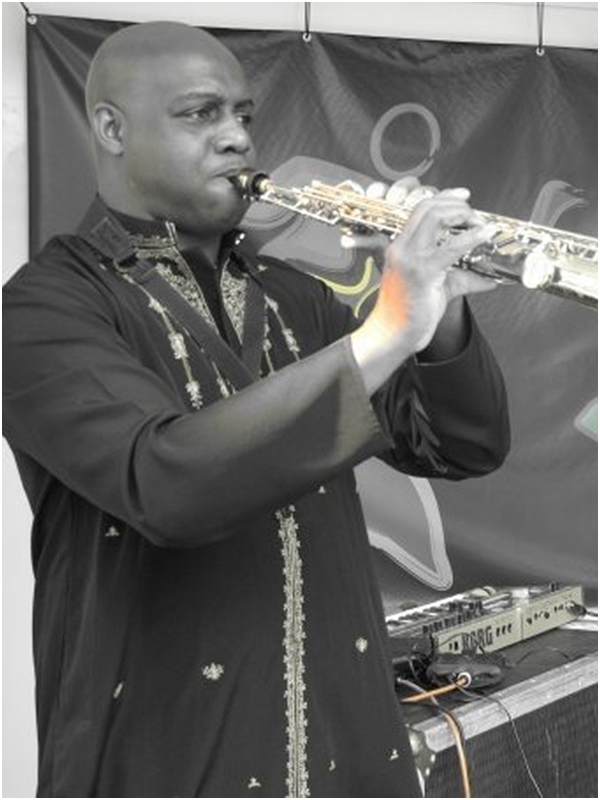 From an entertainment point of view, its joyous evocation of a carnival atmosphere combined with its sheer danceability make Samba a splendid and highly effective musical accompaniment to a wedding celebration, birthday party or similar social or corporate events. If you want to introduce an exciting Rio carnival flavour to your celebration event and generate a vibrant atmosphere of joyous, interactive fun, Brazilian Samba Band would be right up your street. You and your guests can dance the night away to the infectious life-affirming sounds of Latin America after dark. Both the camera and the microphone loved that consummate performer, Frank Sinatra. His velvet-textured larynx and unique romantic style won him worldwide acclaim, coupled with the notoriety of the celebrity lifestyle he led and the ‘Ratpack’ company he kept. Along with Fred Astaire, he was Hollywood’s leading man of the Swing Jazz era. A hard act to follow, equally difficult to emulate. However, with his ‘Salute To Sinatra’ Gary Grace offers the next best thing in a magical tribute to the great entertainer. 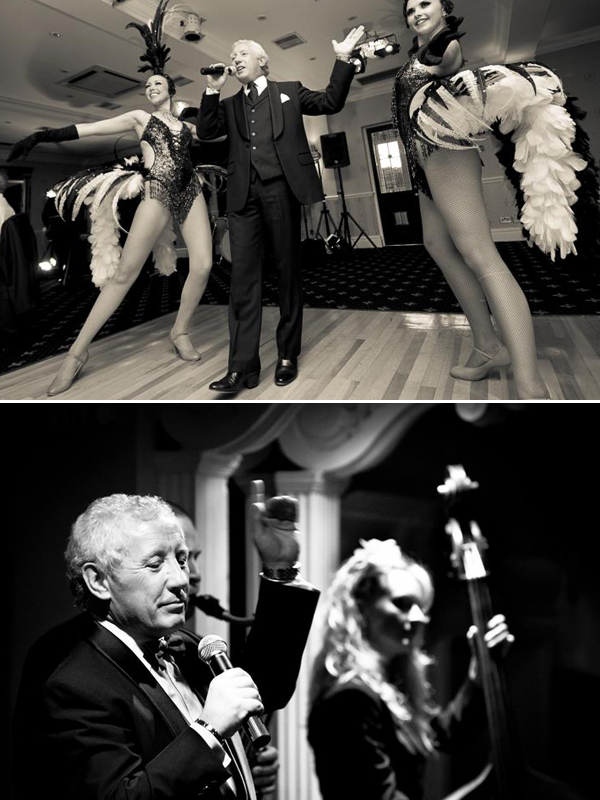 Find out more about booking Gary Grace Frank Sinatra Tribute Band for your wedding. 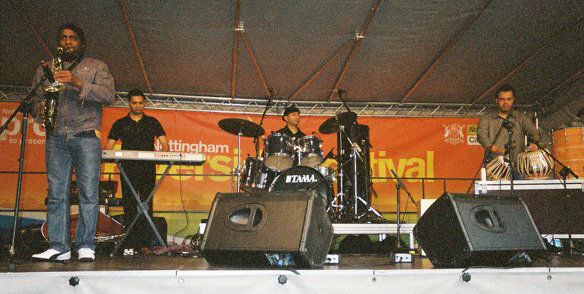 With 30 years’ performance experience in the music industry, Gary has built a reputation as one of the most highly-regarded popular singers in the UK. Natural vocal ability, an affinitive gift for mimicry and a magnetic stage-presence all combine wonderfully in this homage to his principal hero. This is splendid entertainment for a wedding reception party. 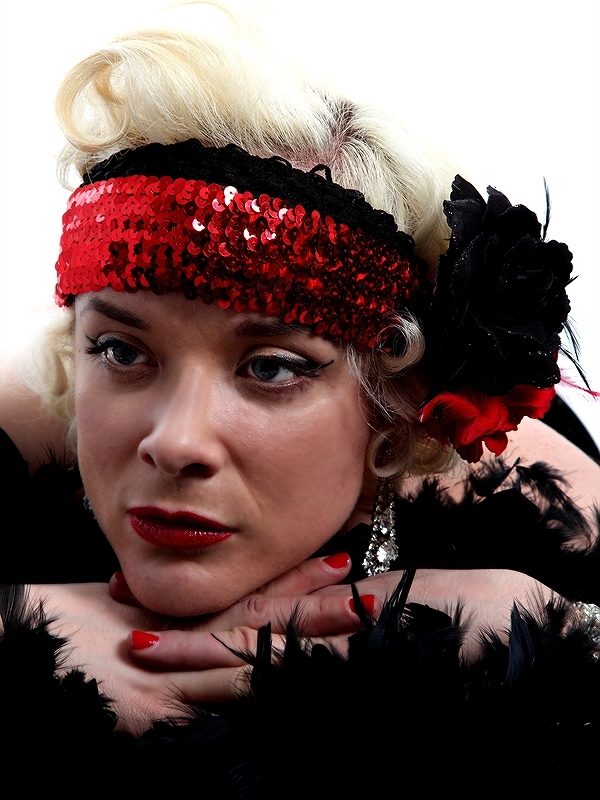 You can expect to hear all the iconic swing jazz classics in an uncannily pitch-perfect replica of Sinatra’s interpretations of ‘My Way’, ‘Mack The Knife’, ‘The Lady Is A Tramp’, ‘Fly Me To The Moon’ – the list goes on. Sinatra’s extensive back-catalogue is eclectic and varied in style, making his music ideal accompaniment to different stages of a wedding celebration. Laid-back soulful jazz during the champagne reception or formal meal can make way for more high-energy, up-tempo arrangements for dancing later on. If unalloyed Sinatra isn’t quite enough, Gary Grace can widen his repertoire to include other artists of international repute, such as Tony Bennett, Nat ‘King’ Cole and Matt Monro, in his ‘Tribute to the Kings of Swing’ show. The Mississippi Delta, where French and British cultures blend with African and Creole, is acknowledged as the birthplace of what has become known as Trad Jazz. An amalgam of blues and gospel hymns with European dance-tunes and song models, this idiosyncratic style of musical delivery appears to emerge in the popular marching church bands, especially in and around New Orleans, towards the end of the 19th century. Trad Jazz fuses the hopelessness of the blues with the triumphalism of gospel, all wrapped up in an exciting, life-affirming march-rhythm with much interweaving melodic improvisation over the principal theme. As the 20th century dawned, the lyric message gradually became subordinated to the purely musical aspect, as the Dixieland marching bands highlighted instrumental development at the expense of vocal performance. Find out more about booking a Trad Jazz band for your wedding. The carefree sound of a Trad Jazz Band has long been associated with festivities of all kinds, and conjures up a sunshine, carnival atmosphere with the vivid imagery of the New Orleans Mardi Gras celebrations. What may have originally started out as solemn spiritual music to accompany a funeral procession finished up as the joyous soundtrack to a tickertape parade. Sousaphone or tuba pins down the bassline, banjo or piano fills in the rhythmic and harmonic texture while trombone, trumpet and clarinet carry on a frenetic counter-melodic conversation over and around the main theme. The overall effect is a lively, uplifting and irresistible fusion of rhythm and melody – contagiously cheerful and eminently danceable. Expect to hear immediately-recognisable classics such as ‘When The Saints Go Marching In’, ‘Swanee River’ and ‘Georgia’ as staples in the repertoire, which were readily adopted and adapted into later jazz developments like swing, bebop and mainstream as the 20th century progressed. Many bands can come colourfully attired in what has become traditional ‘uniform’ for Trad Jazz – striped blazers, bow ties and straw boater hats, which adds an iconic touch of charming authenticity to the overall spectacle. Want to spice up your wedding reception with some happy, jaunty music to create a relaxed atmosphere for your guests to enjoy? 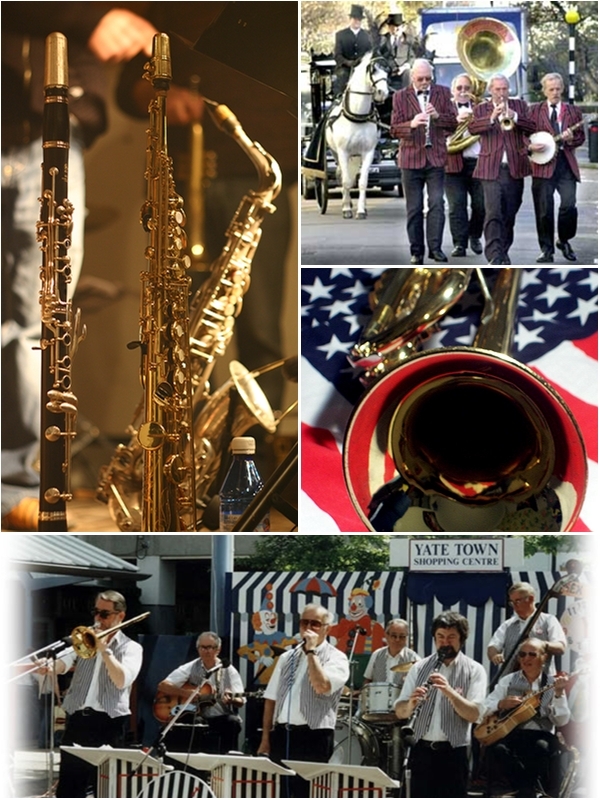 A strolling Trad Jazz Band playing a swaggering mixture of classic tunes from the popular, jazz and blues repertoire will bring that summery, strawberries-and-cream, ‘Henley Regatta’ magical ambience to your celebrations. How expensive is hiring live music for a wedding or party? 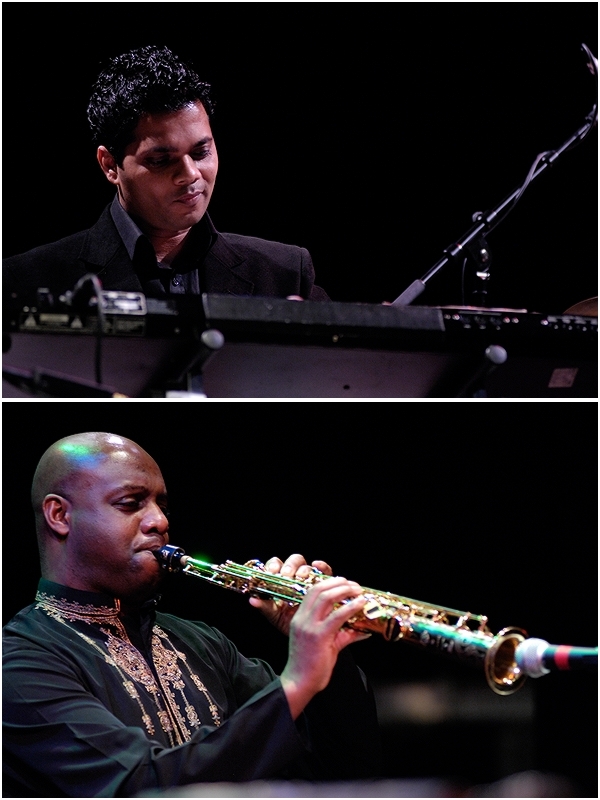 The cost of hiring musicians to play at your wedding will vary widely, dependent on a number of factors. The number of musicians involved will obviously have a direct bearing on the cost, along with the location of the wedding, the duration of the performance, the amount of equipment entailed and the style of music they play. So it’s virtually impossible to generalise, other than aggregating these factors to reach a ball-park estimate for each individual case. It’s a relatively straightforward equation – so much for each musician, plus expenses and administration costs – therefore, the bigger the band, the higher the fee. Some bands offer different line-ups to cater for different types of event, for instance, a compact trio for more intimate occasions right up to a more expansive 8-piece for large-scale functions, but the same basic formula is usually applied. OK, so how much per musician? Once again, this can vary quite widely, but you can expect to pay between £125 and £300 per man for a fully professional ensemble, the high end representing London prices. Away from the capital you will typically pay rather less, but if a band charges significantly less than the suggested lower end price it’s likely that they’re not strictly professional, so you may be taking a chance on their performance quality or overall reliability. Whatever the required duration of their performance, the musicians nevertheless devote the whole evening to deliver it, so will tend to charge as much for a short session as they do for a longer one. Most wedding bands charge a standard fee which includes a typical performance duration, say 2-3 hours within a 3-4 hour period. Any further performance time beyond this, or a late finishing time (after midnight) will usually attract an additional surcharge. Bearing this in mind, make sure you get reasonable value for your money by careful timing and forward planning. 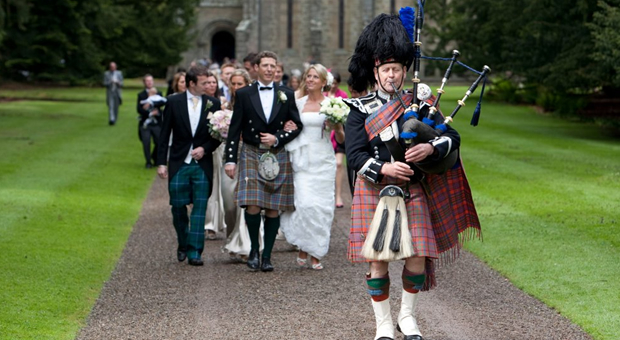 Weddings almost invariably run late, so don’t forget to factor that in as well! 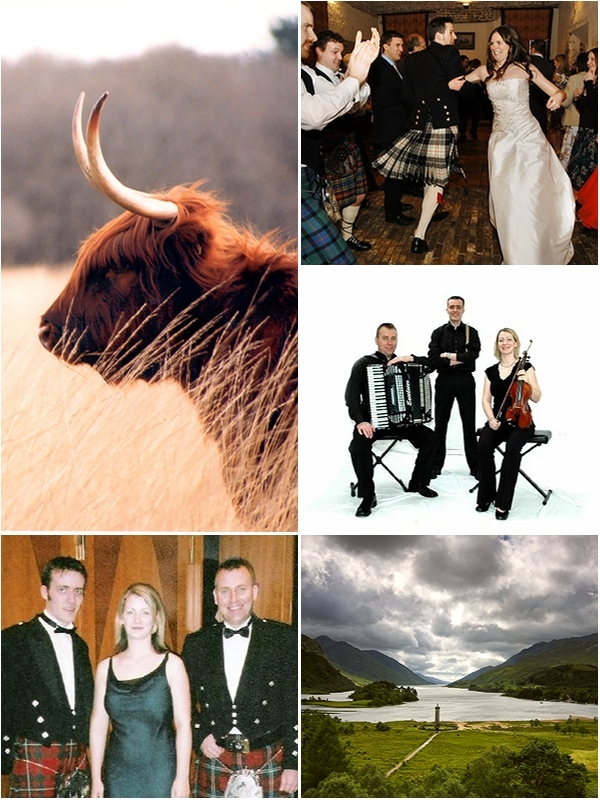 Popular musical entertainment such as Irish, ceilidh, standard swing jazz or pop covers bands tend to be relatively inexpensive because there are a huge number of such outfits to choose from and therefore fierce competition for engagements – supply and demand. However, if you’re looking to book something that little bit more esoteric or even exotic, like authentic African drums or a fully-fledged Bollywood troupe, you will probably be asked to pay considerably more for the privilege. Given the price of petrol these days, it’s little wonder that travel expenses feature strongly in a band’s calculation of their overall fee. Similarly, the amount of equipment the band needs to transport (and maintain) will have a direct bearing on the cost. As mentioned above, bands in and around London tend to charge a premium, which is to an extent understandable, as central London gigs often present a logistical nightmare! So, for economy and best value for money, source a compact local band (outside London) playing a style of music that is not too out of the ordinary, preferably performing entirely on acoustic instruments! OK, all this may not be practical, but if you apply the general guidelines outlined above, it should be possible to arrive at a working approximation of the likely cost of hiring high-quality sprofessional live musicians to play at your wedding celebration. If you’re looking for a light-hearted, amusing theme to build your wedding reception party or themed anniversary party around, the American Wild West can be a surefire winner. After all the formalities of the earlier part of the day are done and dusted, everybody can finally let their hair down, kick off those Jimmy Choos and really celebrate. Thanks to the movie heritage of the John Wayne era, there’s a readymade treasure-trove of iconic imagery to draw on, easy to replicate, all-inclusive, and above all, great fun. The decoration of your venue can be as OTT as you like, with flags, bunting, ‘Wanted’ posters and inflatable cactuses liberally displayed and distributed. A mid-evening buffet is easy to keep on-theme and is relatively simple to prepare and serve. 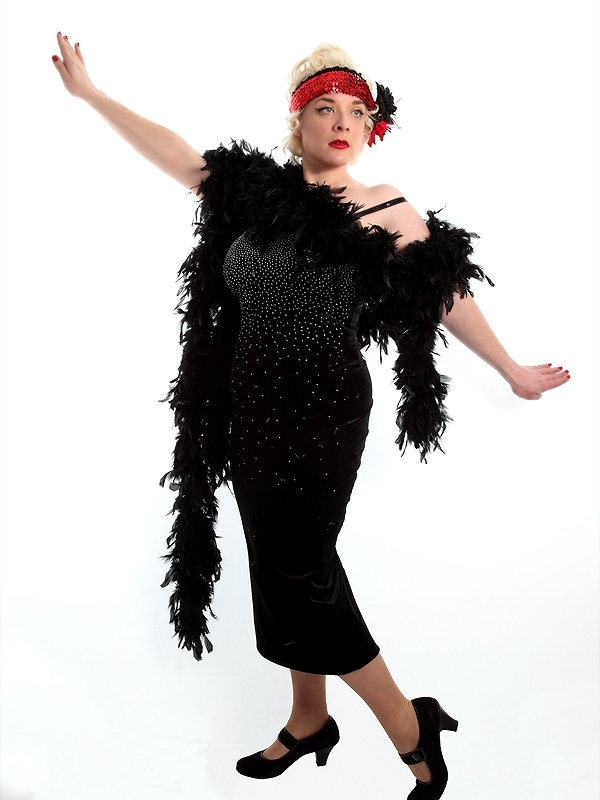 Appropriate fancy dress is de rigeur – just don’t forget to tell your guests! Finally, the music – and what could possibly fit the bill better than a good ol’ Country’n’Western Band? 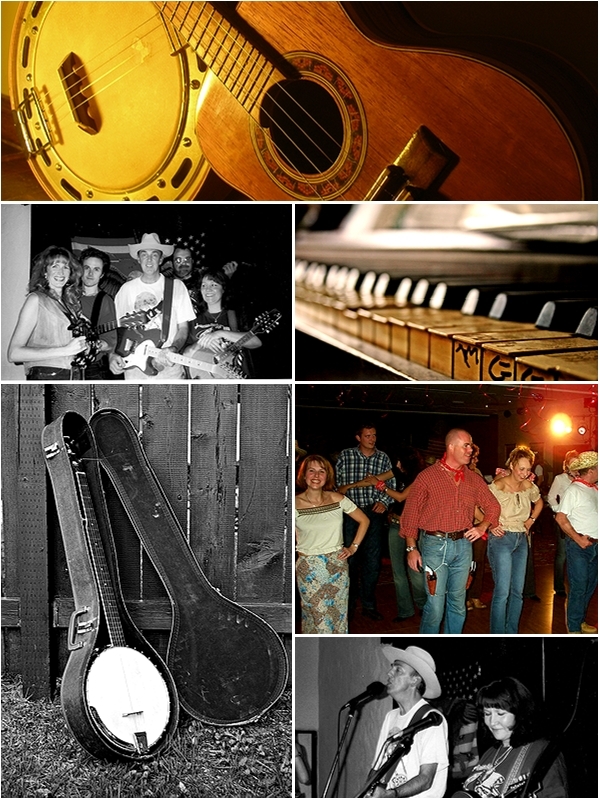 Find out more about booking an American Country band for your wedding. Guitar, bass and drums lay down the basic framework, with honky-tonk piano, pedal–steel guitar or fiddle adding colour and texture to the heartfelt vocal delivery. From ‘Home On The Range’ through ‘Tennessee Waltz’ to ‘Cotton-Eye Joe’ and ‘Hillbilly Rock’, the standard repertoire of the C’n’W genre is emotive, nostalgic and evocative of a bygone era, yet at the same time modern-sounding, varied in tempo and extremely danceable. Country music has been a popular style in the UK for a number of years, and is performed with a great deal of respect, verve and passion by its many aficionados. The ‘old school’ of Johnny Cash, Hank Williams and Willie Nelson rub shoulders with female counterparts like Alison Krause, Dolly Parton and kd Laing in the playlist of a typical C’n’W band. Line-dancing is all-inclusive, easy to do and great fun! Seize the opportunity for all your guests to really get involved and show off their Wild West costumes with a session of line-dancing. Many C’n’W bands can bring along a specialist dance-instructor to show everyone what to do, and maybe throw in some square-dances for good measure. It’s a great way to get everybody up on the dancefloor, a-hootin’ and a-hollerin’ for all they’re worth! After an energetic session of organised dancing and a well-earned rest, the band can slow things down a little and dim the lights for a more romantic atmosphere. 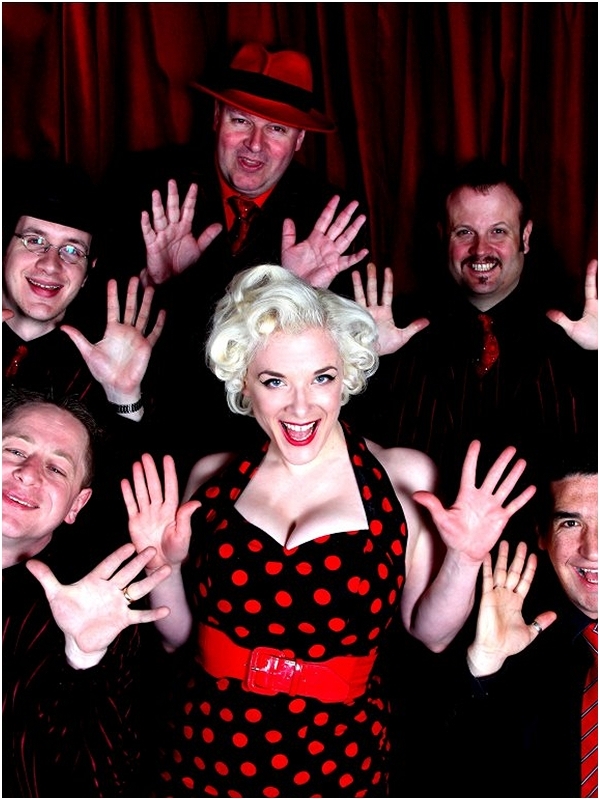 Waltzes and smoochy ballads will appeal to the more mature couples, interspersed with funkier up-tempo numbers for the younger revellers. Country’n’Western music offers an extensive and wide-ranging repertoire with something for everyone to enjoy, and a skilful band will know from experience how to present their music in an all-round entertaining way. A Country’n’Western Band is an absolute must for musical entertainment and lots of fun at a Wild West-themed wedding party. From the nostalgic, evocative classics of the genre through to a vigorous hillbilly-style hoedown with line-dancing ‘n’ all, C’n’W music is the ideal soundtrack to entertain your guests, summoning up the iconic cowboy imagery of a vanished America.